Samsung's exclusive support of the Blu-ray HD disc format is over; it's launching the new BD-UP5000 which plays both Blu-ray and HD DVD discs. Samsung says that it doesn't want to shape the future of the HD format war, it wants its customers to decide. The company says the new player blends the benefits of each format in a single unit, offering access to high-definition movie titles regardless of the authoring format. The key benefit of the BD-UP5000 is that it supports the full range of HD DVD features, which is more than can be said for LG's own BH100 Multi Blue duo player. No exact release date has been revealed as yet, but Samsung is confident that the first units will ship before the end of 2007. The price though, is not so exciting. It's set to cost more than it would be to buy both an HD DVD player and Blu-ray player separately. Samsung also revealed the new HT-BD2 Home Theatre here at IFA 2007, which incorporates a Blu-ray player with a 7.1 channel 1100 watt hi-fi system. It delivers authentic 24 frames per second video and, coupled with an additional HD TV, looks like an ideal home theatre system. 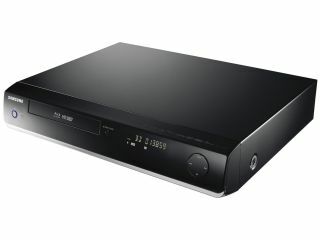 New Blu-ray players announced by Samsung this morning include the BD-P1400 and the BD-P2400. Both support 24 FPS video and incorporate up-to-date HDMI 1.3 ports and all the latest audio HD audio playback features from the likes of Dolby. Aside from Samsung and the end user, the HD DVD camp - led by Toshiba - is also set to benefit from this release.